Dr. Yousef Rizqa, political adviser to Palestinian Prime Minister Ismail Haneyya, said that developments in the region prove that the occupation’s demise is approaching. Rizqa said in a statement on Saturday that the global march to Jerusalem (GMJ), which was organized on Friday in 50 countries around the world, succeeded to achieve part of its objectives. He pointed out that the participation of Arab and foreign solidarity activists in the march proves the peoples' support to the Palestinian people until regaining its legitimate rights. He pointed out that even after 46 years of occupation the Palestinians still adhere to their rights and are determined to resist and make sacrifices until liberating their land. Haneyya's political adviser said the GMJ had delivered several messages urging the Arab and Islamic peoples to take firm positions against the occupation and defend Jerusalem and Al-Aqsa Mosque. 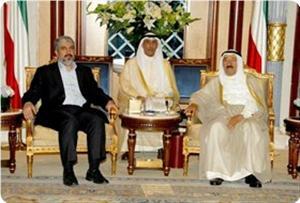 "The liberation of Palestine has become closer, after the recent war of Shale Stones. There is no place for the occupation on the Holy Land", Rizqa asserted. Palestinian government in Gaza warned that the Palestinian Authority (PA) in Ramallah is preparing to resume secret negotiations with Israeli occupation. Dr. Yousef Rizqa, political adviser to Gaza's Prime Minister Ismail Haneyya, said the PA keeps silent and acts secretly regarding the issue of the resumption of talks with the Israeli occupation. He warned that the PA is committing "a sin" by not providing its people, factions and PLO with clear information concerning developments in the issue of negotiations. 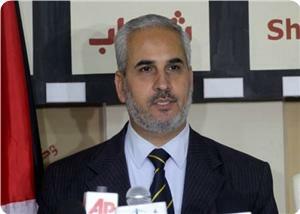 Rizqa told Quds Press agency that Hamas movement in addition to a number of political analysts believe that American attempts to push for a restart of talks between Israel and PA will fail, because the U.S. cannot pressure Israel and cannot influence its position on the issues of Jerusalem, settlements, and refugees. "I believe that all political analysts are sharing Hamas movement's opinion ... the United States, during this second term of Barack Obama's presidency, does not have a vision, a program or a real action plan to bring about a resolution that will preserve the rights of the Palestinian people." Haneyya’s political adviser opined that the extremist rightist government of Benjamin Netanyahu will never accept America's attempts to revive peace talks unless it receives more concessions from the Palestinian side. On behalf of the Chief of Police, his Assistant for Planning & Development, Brig. Gen Mohammad SAHMOUD, pointed out that "a specialized ICT department was created in 2008 to develop a professional technical staff in this area and to lay the foundation for building computerized systems in a standardized manner that would accomplish the basic PCP objective of serving the society and safeguarding its security through a modern and sustainable infrastructure". He added that "this project is enshrined in the vision framework of the Police command for advancing the PCP organization and empowering its members to carry out their tasks in serving the society and combating crime in a more professional, precise, and speedy manner, and given the challenges imposed by the times." Brigadier SAHMOUD has extended his gratitude to the contributors and donors for their support and for remaining friends of the Palestinian people, which has had a great impact on accomplishing this project. Mr. David GEER, Deputy EU Representative said that "Thanks to this project, police coordination will be significantly strengthened and the delivery of services to the public improved. The EU is fully committed to supporting reform of the Palestinian Civil Police in order to help it better serve the Palestinian people and thereby further gain their respect and trust". "The project has involved collaboration among different international partners including the EU and EU Member States. 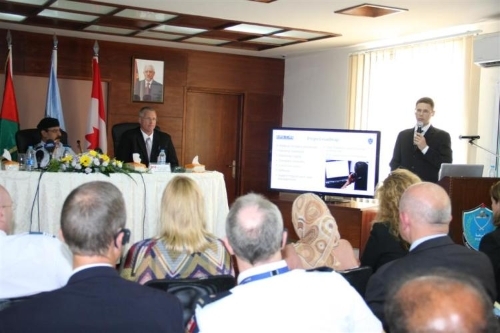 Significant support has also been provided through EUPOL COPPS which has, from the onset of this project and through its daily advice and coordinating role, once more demonstrated its commitment to the Palestinian Civil Police", he added. The project, which started in 2008 and was completed recently, focused largely on communications infrastructure and included radio, data and telephone systems. Using this infrastructure, the police districts are connected with the main headquarters and are using the newly developed centralized information systems that enhance the police operational and administrative capacity. The project has laid foundations for continued development of the police information systems and improvement of the police service. The infrastructure serves also the other security agencies, and contributes to interoperability between security and justice establishments and development of their own internal systems. 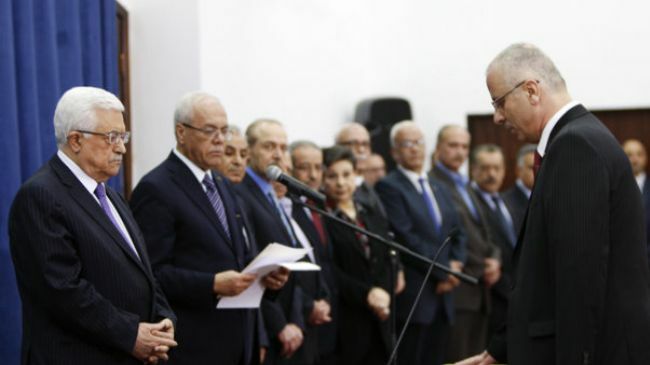 Acting Palestinian Authority chief Mahmoud Abbas has sworn in a new government headed by Rami Hamdallah, a senior academic, who is expected to lead a temporary government for several months. The swearing-in ceremony took place in the occupied West Bank city of Ramallah on Thursday. Hamdallah replaces Salam Fayyad who resigned in April after a weeks-long row with Abbas's Fatah party over his economic policies. Fayyad formally leaves office later this month. Most of the 24 cabinet members sworn in came from the outgoing government. Nine new members were added, including the prime minister, his two deputies and the finance minister. The new government is expected to remain in office until mid-August, when the Fatah party and the Gaza-based Hamas movement are due to complete long-delayed negotiations to form a unity government of technocrats, and then prepare for new presidential and parliamentary elections. Hamdallah is a British-educated professor of linguistics who has been president of al-Najah University in the occupied West Bank since 1998. Hamas, which won the 2006 general elections but was later pushed aside by rival Fatah, said the appointment of a new prime minister without their consultation was not a legal move. Minister of Awkaf and religious affairs in Gaza Dr. Ismail Radwan has called on the Palestinian people to shun differences and to rally behind resistance to confront the “Zionist enemy” and liberate Jerusalem and the Aqsa mosque. Radwan, in a statement on the Isra’ anniversary on Thursday, urged the Ramallah authority to release the “Mujahideen” in the West Bank and to end restrictions on resistance. He asked the Islamic scholars to mobilize the Umma’s potentials and to urge Islamic peoples everywhere to support Jerusalem and the Aqsa mosque morally and materially. “We warn against the Judaization schemes in Jerusalem and the Aqsa mosque amidst Arab, Islamic and international silence,” Radwan said. 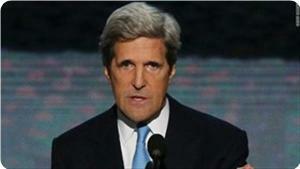 He also urged the media to expose Israel’s violations and Judaization projects and to expose its racist policies. The new Palestinian government, the 15th since the signing of the Oslo accords in 1994, will be sworn in later Thursday at the presidential headquarters. The president’s office sent out invitations to the press and guests to attend the ceremony, which will usher in Rami Hamdallah as the new prime minister replacing Salam Fayyad, who served as prime minister since July 2007. The new government will have 24 ministers. Senior Hamas official Salah Al-Bardawil categorically denied news reports about differences between Hamas political and military leaders regarding the Syrian crisis and described these reports as illusions and hostile to the Palestinian resistance. In a press statement to Quds Press, Bardawil expressed his regret and dismay at a report published by the London-based newspaper Al-Quds Al-Arabi about the position of his Movement towards Syria and its relations with Hezbollah and Iran. He emphasized that what came in the report was unfounded fabrications and Al-Qassam Brigades, the armed wing of Hamas, are strongly loyal and committed to the decisions issued by its political leadership. He added that Al-Qassam Brigades' only job is to defend Palestine and its people militarily and does not interfere in the political work of its leadership. "The Hamas Movement with its different wings work as a high-level democratic consultative organization, and no decision can be taken without the consent of everyone," the Hamas official underlined. "All this is part of the media smear campaign that is led by the nation's enemies and some secular lackeys who felt they have no weight in the conflict between Israel and the Islamists, and unfortunately Al-Quds Al-Arabi involved itself in such lies," Bardawil said. For his part, spokesman for Al-Qassam Brigades Abu Obeida also denied the claims that was reported by Al-Quds Al-Arabi from an unknown source about its position towards the situation in Syria and its sending of a massage to its political leadership in this regard. 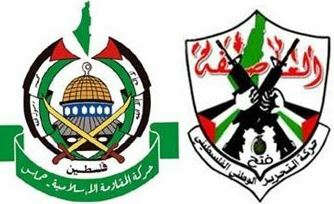 Al-Quds Al-Arabi newspaper had quoted what it described as an informed source from Hamas that Al-Qassam Brigades made up its mind to maintain its alliance with Hezbollah and Iran as a strategy to liberate Palestine from the occupation after the Arab money failed to liberate an inch of the occupied lands. 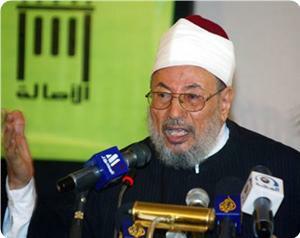 The newspaper claimed that the armed wing of Hamas expressed to its political leadership its rejection of the accusations that had been made lately by Sheikh Yousuf Al-Qaradawi against Hezbollah during a Friday Khutba (sermon) attended by head of Hamas's political leader Khaled Mashaal in Doha. 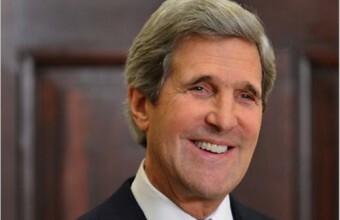 The Palestinian government in Gaza warned of what it described as the dangerous schemes being prepared by US secretary of state John Kerry, saying his plans are misleading and provide unreal solutions detracting from the Palestinian rights. This came in a statement issued following its weekly cabinet meeting on Tuesday. "These American moves are a maneuver to pass defeatist solutions aimed at providing security and protection for the occupation state, and we warn against getting along with such ideas which are marketed by a group of people who make financial gains at the expense of our people's life and rights," the government opined. 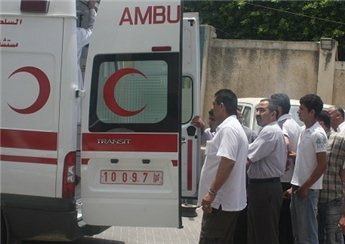 The government also denounced the attacks that are launched systematically by the Jewish settlers on the Palestinian citizens and their property in the West Bank and criticized the Palestinian authority's role in protecting the security of the settlers and its failure to defend its own people. In another context, the government condemned the European union for organizing UEFA's European under-21 football championship in Israeli occupied lands despite Israel's destruction of soccer fields and sport infrastructure during its last war on Gaza. It considered the holding of this championship in Israel a reward for its aggression and called for taking a disciplinary measure against it through depriving it of any participation in world sport events. Hamas movement said that PA chief Mahmoud Abbas’s statement on Gaza tunnels was ruining Egyptian-Palestinian relations. Hamas said in a terse statement on Tuesday that the statement constituted a clear incitement for blockading and starving the Gaza Strip. The movement said that Abbas’s statement on reconciliation was increasing tensions and did not serve efforts for achieving reconciliation. Abbas told Saudi newspaper Al-Watan that the tunnels were threatening Egyptian national security. Dr. Ahmad Bahar, deputy head of the Palestinian Legislative Council (PLC), stated that the newly appointed government that will be formed in the West Bank, is unconstitutional, and that any new government will remain illegitimate until approved by the Palestinian Legislative Council. In a press release, Bahar stated that the new government of Dr. Rami Hamdallah is a continuation of the government of Dr. Salaam Fayyad, and that both governments are unconstitutional, as they were never presented to the PLC for deliberation and approval. 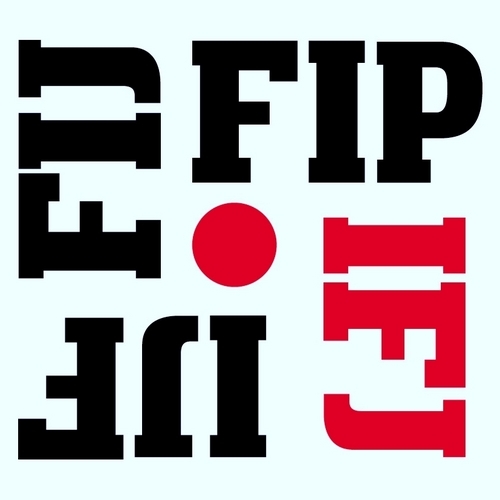 “Any government that is not sanctioned and endorsed by the PLC is unconstitutional”, Bahar said, “Governments that are not approved by the PLC, violate the basic Palestinian law”. He further stated that the current caretaker government, headed by Ismail Haniyya, in the Gaza Strip, is a government of national Unity that was democratically elected in 2006, and was approved by the vast majority of PLC members. 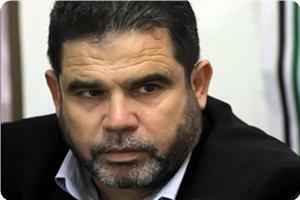 “This government should be allowed to perform its duties, Abbas should stop all measures that prevent the democratically elected PLC from performing its duties”, the Hamas official said, “We should act on restructuring the bases of Palestinian political system; we must unite in the face of the Zionist aggression against our people”. First deputy speaker of the Palestinian legislative council (PLC) Ahmed Bahar said that the new government to be formed in the West Bank would be constitutionally illegitimate as it should receive the confidence of the council. Bahar stated on Tuesday that this new government of Rami Al-Hamdallah would be an extension of the illegal government of Salam Fayyad, which had not been approved by the PLC. He added that according to the Palestinian law, the government of Hamdallah cannot be called a government in the first place or even deemed as a caretaker because premier Ismail Haneyya is constitutionally the head of the Palestinian caretaker government. He affirmed that the government of Haneyya received 97 percent of the confidence votes from the PLC, and thus it is legitimate according to the constitution. Bahar called, in this regard, on Mahmoud Abbas to stop obstructing the work of the PLC and recognize the results of the 2006 legislative elections. Officials of the rival Fateh and Hamas movement held, Tuesday, a meeting in Gaza city, in an attempt to bridge the gaps between the two movements. The Maan News Agency has reported that Dr. Nabil Shaath, member of the Central Committee of the Fateh movement, and Legislator Faisal Abu Shahla, held a meeting with Imad Al-Alamy and Ghazi Hamas of Hamas. Abu Shahla told Maan that the meeting focused on recent developments, and the obstacles that are hindering the formation of a unity government by July 14. Abu Shahla added that Fateh believes in “building bridges of trust between the leaderships of the two movements”, and that the meeting also tackled recent political arrests and interrogation of Fateh members in Gaza. Hamas also says that Palestinian security forces, dominated by Fateh in the West Bank, are ongoing with political arrests and interrogation of Hamas members and supporters. In related news, Dr. Ahmad Bahar, deputy head of the Palestinian Legislative Council (PLC), stated that the newly appointed government that will be formed in the West Bank, is unconstitutional. Bahar was referring to the decision made by President Mahmoud Abbas appointing Dr. Rami Hamdallah as the new Prime Minister in the West Bank. Bahar stated that the decision is unconstitutional, as it was not referred to the Legislative Council for a vote, and that the move hinders prospects of unity. 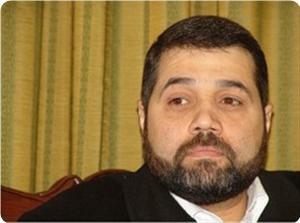 Yet, Yousef Rizqa, advisor to Ismail Haniyya, Prime Minister of the Hamas-led government in Gaza, reiterated the position of Hamas in rejecting the formation of a new government in the West Bank, but said that Hamdallah is a figure that could help in the efforts to achieve reconciliation and unity. Rizqa said that Hamdallah, who served as the head of the Elections Committee, has the needed expertise and academic vision that might pave the road to forming a unity government. Writer and political analyst Ibrahim Al-Madhoun said that Abbas's decision to replace Salam Fayyad by the academic Rami Hamdallah came with American blessing. 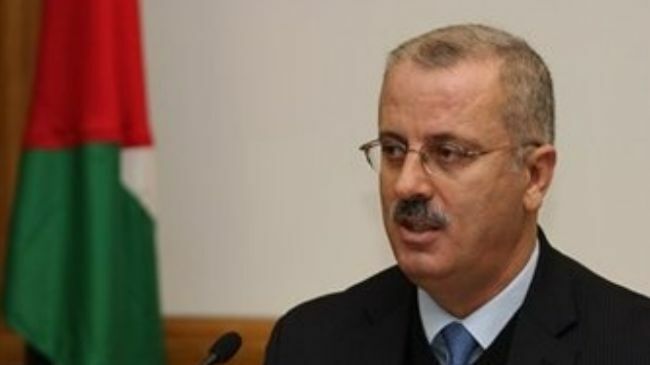 PA President Mahmoud Abbas has decided to appoint Rami Hamdallah, head of the Nablus-based An-Najah University, as the next prime minister in place of Salam Fayyad, who resigned from the post a month and a half ago after frequent disagreements with Abbas. This US green light came to keep the West Bank calm and stable in light of the Israeli escalated settlements, to alleviate the PA financial and administrative failure and to undermine any attempt for the outbreak of a third Intifada, Al-Madhoun said. He stressed that the appointment of any PA Prime Minister must be approved by Israeli and American authorities in order to commit with the Israeli security obligations. Hamdallah is a member of the Fatah Party who meets Fatah movement request, by contrast Fayyad was not a PLO member where they held him fully responsible for all the government failures, he explained. Hamdallah's appointment translates Abbas's unwillingness to achieve reconciliation and reinforces the West Bank collapse in light of the escalated Israeli settlement projects, he added. Al-Madhoun affirmed that this PA government does not differ of the last government where it came without the PLC consultation. He considered the appointment as a deal with the American administration and Israeli authorities aiming to satisfy Fatah members and keep West Bank away from the revolutionary spirit. It seems that Fayyad was seeking to put an end to the Fatah cadres' corruption, however Hamdallah will provide them a cover to their illegal practices in West Bank, Al-Madhoun said. Furthermore, many Palestinian politicians and analysts criticized Abbas's decision to appoint Hamdallah, saying that it will reinforce the Palestinian internal division. Professor Abedl Sattar Qasem, lecture in political science at al-Najah University in Nablus, said that this new PA government is only an exchange of names and not policies. Qasem, who was detained in PA jails due to his criticism of Hamdallah's policies during his presidency of Najah University, confirmed that Hamdallah appointment came after an American and Israeli approval. 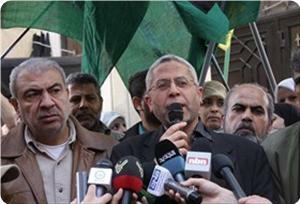 Qasem confirmed that the forming of the new PA government seriously harms the reconciliation agreement. For his part, the Political analyst Mustafa Sawaf affirmed that in light of the Palestinian division the move has no collective consensus and will increase the internal gap. He added that there are no real breakthroughs to end the current Palestinian division. Consul general of Sweden in Jerusalem Axel Wernhoff affirmed his country's interest in ending the humanitarian crisis in the Gaza Strip. This came during his meeting on Monday with Palestinian lawmaker Jamal Al-Khudari, head of the popular committee against the siege, in Gaza city. Wernhoff highlighted the European role in helping the Palestinian people have their legitimate rights, asserting the Europeans have become more understanding of the Palestinian reality with regard to the occupation and the blockade on Gaza. 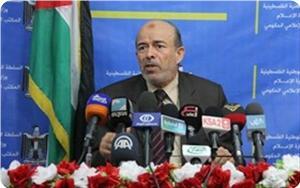 For his part, MP Khudari called for more European support for the Palestinian people and their national cause. He also talked about the humanitarian and economic situation in Gaza and the impacts of Israel's blockade and wars on Gaza. 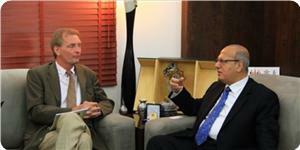 He also expressed his hope that the Swedish lawmakers could play an active role in supporting the Palestinian rights. The Hamas Movement criticized Mahmoud Abbas for forming a new government in the West Bank and described it as illegitimate and unconstitutional. Its spokesman Fawzi Barhoum told Al-Jazeera satellite channel that the government to be formed by Rami Al-Hamdallah would be illegal because it would not receive the confidence of the Palestinian legislative council. Barhoum affirmed that such a step was a reproduction of previous unconstitutional moves that had been taken by Abbas and thwarted the national reconciliation further. He stressed that the solution lies in the formation of a national competent government according to the Doha declaration and the Cairo agreement. For her part, Palestinian lawmaker Mona Mansour said in a press statement to Al-Sabil newspaper that the formation of a new de facto government in the West Bank is contrary to what has been agreed upon in Cairo between Hamas and Fatah. Mansour added that the Palestinian authority always uses the issue of the reconciliation talks with Hamas as a card to revive the peace process with the Israeli occupation. She also ridiculed the repeated reconciliation agreements signed between the Palestinian rivals, saying that the Palestinians in the West Bank only hear about the reconciliation from the media and see no progress in this regard on the ground. Yousef Rezka, the political advisor to Palestinian premier in Gaza Ismail Haneyya, said that the new government in the West Bank was a replica of the former one of Salam Fayyad. He told the PIC reporter on Monday that Fayyad government was not legitimate because it did not win the confidence of the Palestinian legislative council (PLC). He said that the new government of Hamdullah would fall in the same framework if it was not tabled with the PLC for a confidence motion. Asked on the impact of the new government on reconciliation efforts, Rezka said that the reconciliation process was in deep freeze since American president Barack Obama and his foreign secretary John Kerry visited the region. The advisor said that the American and Israeli foreign ministries intervened to block the reconciliation because it would include Hamas and because any new Palestinian government should be based on the conditions of the international quartet committee. Rezka said that the new premier could break the political deadlock if he sought to play a positive role in the reconciliation process and blocked foreign intervention in that issue. The Emir of Kuwait, Sheikh Sabah Al-Ahmed, received political bureau chairman of Hamas Khaled Mishaal on the occasion of his visit to Kuwait. The Kuwait news agency said that crown prince Sheikh Nawaf Al-Ahmed and deputy minister of Amiri Diwan Sheikh Ali Jarrah attended the meeting. 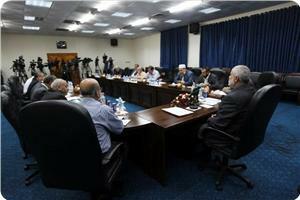 It said that political bureau member of Hamas Khalil Al-Hayya also attended the meeting. US Secretary of State John Kerry praised the decision of President Mahmoud Abbas to assign the Rami Al-Hamdallah as the new Prime Minister of the Palestinian Authority on Sunday, while encouraging a return to negotiations for a two-state solution. Kerry said in a press statement, "We congratulate Al-Hamdallah for his appointment" adding that Ramallah's appointment "comes at a moment of challenge, which is also an important moment of opportunity." He also said, "Together, we can choose the path of a negotiated two-state settlement that will allow Palestinians to fulfill their legitimate aspirations, and continue building the institutions of a sovereign and independent Palestinian state that will live in peace, security, and economic strength alongside Israel." 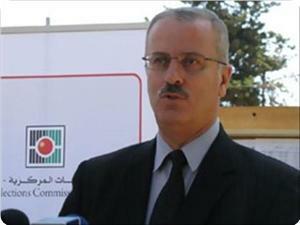 Palestinian Authority President Mahmoud Abbas on Sunday asked Palestinian academic Rami Hamdallah to head a government. Hamdallah, president of An-Najah University in Nablus, will succeed caretaker Prime Minister Salam Fayyad, who submitted his resignation on April 13. Kerry also praised Fayyad, who submitted his resignation as Prime Minister on April 13, for his contributions to Palestinian institutions. It's worth noting, President Mahmoud Abbas assigned an independent academic, Rami Al-Hamadallah, to form a new government on Sunday. 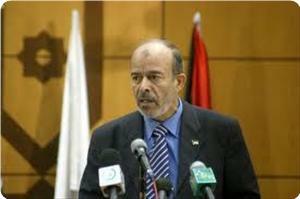 Al-Hamdallah is a President and a linguistics professor of An-Najah University in Nablus. Acting Palestinian Authority (PA) Chief Mahmoud Abbas has appointed Rami Hamdallah, a senior academic, as the authority’s next prime minister. 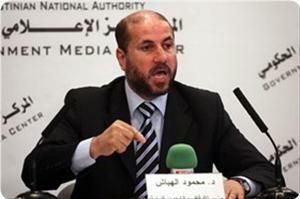 The official Palestinian news agency, WAFA, announced the appointment on Sunday. The Gaza-based Hamas movement, which won the 2006 general elections but was later pushed aside by rival Fatah, said the appointment of a new prime minister without their consultation was not a legal move. 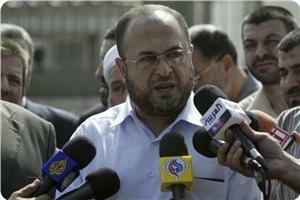 "This Cabinet does not represent the Palestinian people," said Hamas spokesman Taher al-Nunu. "The status of the new Cabinet is illegal," he added. 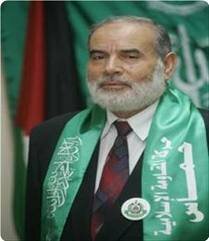 Osama Hamdan, foreign relations official in Hamas movement, said that the political developments in the Arab region can be a bridge for the Arab nation to regain its place in the world. Hamdan said in remarks to Quds Press Agency on Sunday that the dispute, which erupted on Saturday in the opening session of the Arab National Congress when some of the participants attacked the Islamic trend, has been overcome. "The aim of the Arab National Congress is to gather all the nation's components; including the Islamic, nationalist and leftist components in the framework of the renaissance of the nation. 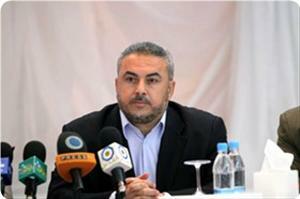 In order to achieve this goal dialogue must be open and serious", the Hamas official stated. He added that the changes taking place in the Arab region, if rationalized, will enable the nation to restore its glory. Some national and Islamic figures withdrew on Saturday from sessions of the Arab National Congress, currently held in Cairo, because some participants criticized the Egyptian President Mohamed Morsi and the Muslim Brotherhood. Muslim Scholars Association called on the Arab and Islamic nation to place names of those who call for normalization with Israel in the wanted list on charges of treason. The Association said in a statement that the normalization is a direct recognition of the Israeli state, and leads to the loss of the holy sites and the violation of sanctities. It pointed that some officials are seeking to prepare a delegation that will participate in a conference to be held in Turkey and aims to establish normalizing relations with the Israeli rabbis, and that the second part of the conference will take place in the 1948-occupied territories under Israel's auspices. The Muslim Scholars Association slammed the move which will take place at a time when those rabbis are calling for desecrating Al-Aqsa Mosque and dividing it. Its statement has also stressed that the Palestinian-Israeli futile negotiations which have lasted for 20 years had never served the Palestinian people, but rather facilitated the construction of settlements and paved the way for more Israeli violations. 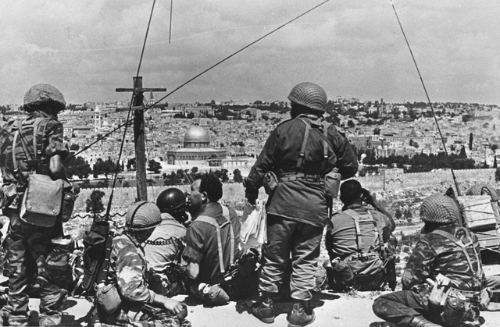 The scholars asserted that: "The nation has unanimously agreed that normalization with the occupation and visiting the holy city under the occupation are taboo." Ra’aft Murra, the Hamas spokesman in Lebanon, has denied press reports alleging that Hamas bureau chairman Khaled Mishaal had asked Hamas officials to leave Lebanon. Murra said in a press release that Mishaal’s alleged statement was voiced more than two weeks ago and did not touch on the situation in Lebanon or mention the presence of Hamas in Beirut. He charged parties well known to Hamas with deliberately waging such smear and distortion campaign. The body of a four-year-old found in a reservoir in Khans Younis on Sunday was transferred to the Nasser Hospital for forensic testing. The body of a four-year-old boy was found Sunday morning in a small open agricultural reservoir in Khan Younis in the southern Gaza Strip, locals said. Ali al-Muqatran's body was pulled out of the pool, which is used for irrigation, in the Abu Musbih neighborhood, locals told Ma'an. Khan Younis governor Rami al-Aydi said police and medics were dispatched to the area. The child's body was transferred to the Nasser Hospital in Khan Younis for forensic testing, al-Aydi added. Dozens of Palestinians took to the streets in Nablus on Saturday to protest the high cost of living and demand the cancellation of the Paris Protocol signed in 1994. Protesters called on the Palestinian Authority to reduce the cost of essential commodities, urging PA officials to raise salaries and not the price of basic goods. 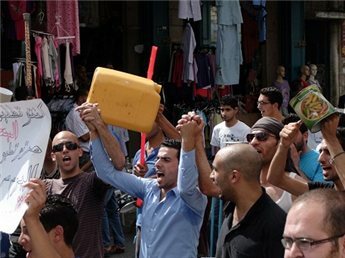 Earlier this week, protesters marched against high prices and unemployment in Duheisha refugee camp, Bethlehem, calling on the PA to lower prices so people can meet their everyday needs. The PA announced last week that it would raise VAT by 1 percent starting in June. Head of taxes and VAT Ahmad Al-Hilo told Ma'an that the raise will lead to an increase of 1 percent in overall prices. The rise puts the overall tax rate on goods at 16 percent. Al-Hilo told Ma'an that authorities were forced to raise the VAT because Israel raised it to 18 percent and, according to the Paris economic agreement, the difference between the Palestinian Authority and Israel should not be more than 2 percent. The Paris Protocol was signed in 1994 as an annex to the Oslo Accords that established the interim Palestinian government. The Protocol gave Israel sole control over Palestine's external trade, and collection of customs duties, allowing the state to serially hold back this revenue as punishment for Palestinian political measures, such as the bid for UN membership. Frustrated by rising prices and high levels of unemployment, Palestinians took to the streets in September last year to protest the dire economic outlook. Protesters chanted against the Oslo peace accords and some set fire to copies of the Paris Protocol. 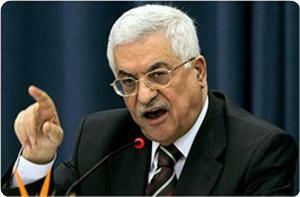 Senior PLO official Saeb Erekat said Saturday that Israel wants to "get rid" of President Abbas. "Israel says that Abbas is not a partner for peace, because he holds onto the rights of Palestinians," Erekat told Dubai TV. US Secretary of State John Kerry must pressure Israel to accept the two-state solution, stop settlement building, and release Palestinian prisoners, he added. If Kerry's initiative for peace fails, Palestinians will seek membership of a number of organizations, including the International Criminal Court, the PLO official said. 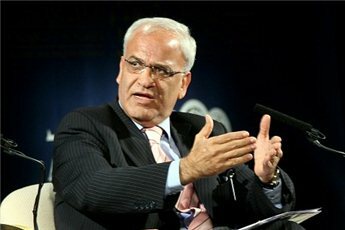 Erekat also criticized Iran for dividing the Palestinians by not supporting unity, adding that reconciliation may be hindered by the years of conflict and economic issues like the tunnel trade. The Palestinian Authority wants a total freeze on Israeli settlement construction before it resumes peace talks with Israel, which have been stalled for almost three years. On Thursday, NGO Terrestrial Jerusalem said Israel was preparing to build 1,100 new settler homes in occupied East Jerusalem. 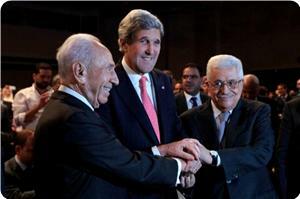 Erekat said the decision was "destroying" Kerry's peace efforts. Palestine Scholars Association condemned the normalization with Israel and called for boycotting the Israeli occupation and its rabbis. The Association in a statement on Saturday called for taking real moves on the military, political and economic levels to liberate Jerusalem and the entire Palestinian land from the occupation. "Some officials are seeking to prepare a delegation that will participate in a conference to be held in Turkey and aims to establish normal relations with the Zionist rabbis. The second part of the conference will take place in the 1948-occupied territories under Israel's auspices," the Association said. The Israeli rabbis, it added, have been calling for desecrating Al-Aqsa Mosque and dividing it. The Association's statement has also mentioned Israel's violations against the Palestinian MPs and ministers in Jerusalem and the West Bank, pointing to the continued policy of administrative detention against them. The statement stressed that the Palestinian-Israeli futile negotiations which have lasted for 20 years had never served the Palestinian people, but rather facilitated the construction of settlements and paved the way for more Israeli violations.